Mortgage Architects is pleased to announce the addition of business partners Katherine Meadows and Cheryl Kowalsky as Mortgage Architects’ newest Mortgage Planners. 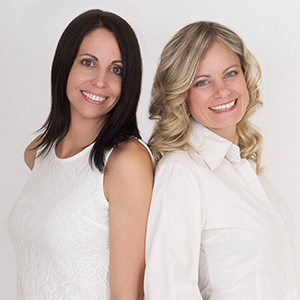 Joining the Malcolm Galenzoski Mortgage Architects team in Red Deer, Alberta, Katherine and Cheryl are seasoned mortgage professionals who have enjoyed considerable success in the mortgage broker industry since coming into the business years ago. "We chose MA because it is evident to us that your agents matter. " Katherine, with a background in Credit Counselling and Financial Coaching and Cheryl with a background in Business, Sales and Marketing, as well as each being licensed Life Insurance agents, bring a wealth of knowledge, experience and highly-developed customer service skills to their new positions at Mortgage Architects. As past recipients of industry awards recognizing their top performer status, Katherine and Cheryl say their success is centered around the motto: “More than Just Mortgages”. In choosing Mortgage Architects, this dynamic duo says: “we chose MA because it is evident to us that your agents matter. We are also excited about your state-of-the-art CRM programs”. Katherine and Cheryl’s most recent affiliation was with the Mortgage Intelligence broker team. We are honoured and delighted to welcome Katherine and Cheryl to our Mortgage Architects Professional Broker Network.